Second World War [Друга Світова Війна; Druha Svitova Viina]. The prelude to the outbreak of the Second World War was Adolf Hitler's dismemberment of Czechoslovakia, initiated by the Munich Agreement of September 1938. The Ukrainian-inhabited province of Czechoslovakia, Subcarpathian Ruthenia (known also as Carpatho-Ukraine), became autonomous in October 1938. In November large parts of Carpatho-Ukraine were ceded to Hungary on the basis of the Vienna Arbitration. Though truncated, Carpatho-Ukraine was still regarded by Ukrainians in Poland as a potential Piedmont, the nucleus of a future Ukrainian state. Joseph Stalin assessed the situation in the same way and let it be known that his attitude to Hitler's Germany would depend in part on the evolution of events in Carpatho-Ukraine. 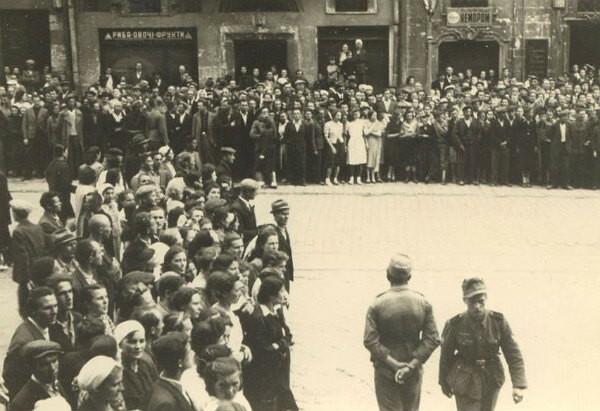 In March 1939, when Hitler did away completely with the Czechoslovak state, he awarded Carpatho-Ukraine to Hungary, which occupied the area and repressed its Ukrainian movement. 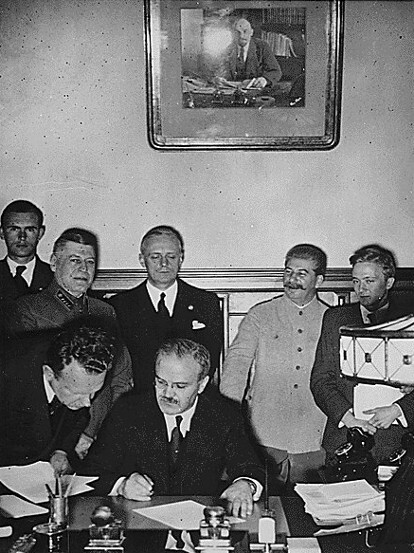 Thereafter, representatives of Stalin and Hitler began exploratory talks that culminated in the Molotov-Ribbentrop Pact of 1939. A secret codicil of the Molotov-Ribbentrop Pact provided for the division of Eastern Europe between Germany and the Soviet Union. The first step in the division, and also the start of the Second World War, was the German invasion of Poland on 1 September 1939, following which Great Britain and France declared war on Germany. Soon thereafter, on 17 September, the Soviet Union occupied Galicia, western Volhynia, and Polisia, areas that had been under Polish rule since the end of the First World War. In November those territories were incorporated into the Ukrainian SSR. Many Ukrainian political activists fled Soviet rule, and Cracow, in the German sector of former Poland, became an important center of Ukrainian émigré life. There the Ukrainian Central Committee was formally established in the spring of 1940. In June 1940 the Soviets incorporated northern Bukovyna and northern and southern Bessarabia, formerly held by Romania, into the Ukrainian SSR. Nazi-Soviet collaboration ended with the German invasion of the Soviet Union on 22 June 1941. The Germans took Lviv in June, Kyiv in September, and Kharkiv in October. Ukrainian Galicia was incorporated as a separate administrative district into the Generalgouvernement (the name that the Germans gave to the bulk of the territory of the former Polish state). Northern Bukovyna and Bessarabia were reincorporated by Germany's ally Romania. Romania also occupied Transnistria, the territory between the Dnister River and the Boh River, including the port of Odesa. Most of the rest of Ukraine became the Reichskommissariat Ukraine, except for the easternmost parts of Ukraine, which were under direct military occupation, and the Crimea, which was under a separate jurisdiction. The Second World War in general was characterized by unheard-of violence outside the fields of battle. The violence was particularly brutal in Ukraine. When the Soviets withdrew from Western Ukrainian territory in June 1941, they shot, murdered, or burned to death nearly 20,000 inmates of NKVD prisons. 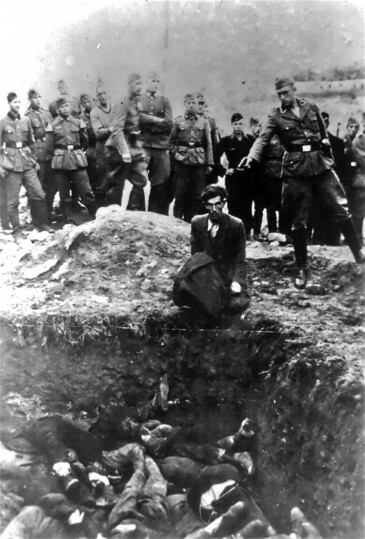 Nazi war crimes in Ukraine were on a yet greater scale. 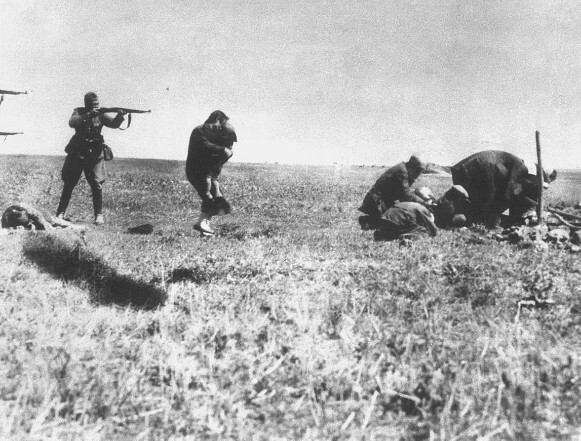 The Germans killed hundreds of thousands of Ukrainian prisoners of war by starvation, gassing, and other methods. Millions of civilians were also murdered. The Nazis systematically executed members of the former Communist apparatus of Ukraine and randomly killed many other Ukrainians. The Reichskommissar of Ukraine, Erich Koch, for instance, authorized the mass murder of Ukrainians living in an area he wished to make into a hunting preserve. Over two million Ukrainians were also deported to Germany to work as forced laborers, the so-called Ostarbeiter. Forced labor also existed in Ukrainian territory. The Germans' refusal to permit the dismantling of collective farms and their massive food requisitions also contributed to the misery of Ukraine's population. The Nazis singled out the Jews for extermination (see Holocaust). 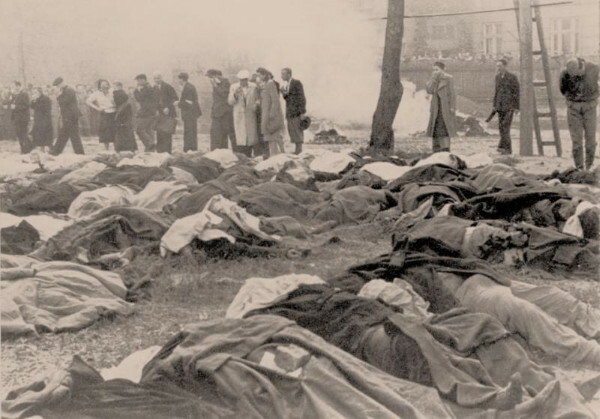 Within the first weeks of their invasion of Ukraine the Germans orchestrated a series of pogroms against the Jews in which tens of thousands perished; the Nazis recruited elements of the local population to conduct these first actions against the Jews. Thereafter, the destruction of the Jews became more systematic and was carried out primarily by the Germans themselves. In the Reichskommissariat Ukraine mobile killing units (Einsatzgruppen) went from locality to locality and shot the Jewish population. One of the most notorious of their killing grounds was situated at Babyn Yar in Kyiv. In the district of Galicia the Jews were, in the main, transported to killing centers, such as Auschwitz (Oświęcim Concentration Camp). The Ukrainian Catholic metropolitan Andrei Sheptytsky condemned the genocide and registered his protest with Heinrich Himmler. After the war Nazi leaders were prosecuted at the Nuremberg trials for their war crimes and crimes against humanity, including those perpetrated in Ukraine. Nationalists in Western Ukraine were originally enthusiastic about the Germans, especially after the attack on the Soviet Union in June 1941. In July, however, the Germans arrested nationalist leaders who had proclaimed Ukrainian independence. Thereafter the nationalist attitude became more ambivalent, although nationalists of all factions still generally collaborated with Germany, with which they shared certain objectives and which they considered the lesser evil when compared to the Soviet Union. Illusions about the Nazis continued to be fostered by the German minister for the occupied eastern territories, Alfred Rosenberg, who held out the prospect of an end to the brutalities as well as the establishment of a Ukrainian state under German protection. There were also certain areas of policy in which the Germans were more tolerant than the Soviets had been. Many churches were reopened during the occupation, and it was possible under the Germans to investigate and publicize some Stalinist crimes (as in the exhumation of the mass graves that bore witness to the Vinnytsia massacre, and the publication of memoirs concerning the repression of the Ukrainian intelligentsia). Ukrainians fought on both sides in the Second World War. By far the majority of ethnic Ukrainians, about 4.5 million, fought in the Red Army against the Germans. Others joined the Communist partisans (see Soviet partisans in Ukraine, 1941–5), who included the prominent commander Sydir Kovpak. There were also Ukrainian volunteer units in the German army, however, specifically the Legion of Ukrainian Nationalists (the Nachtigall and Roland units, which marched into Lviv in June 1941 together with the Germans) and the Waffen SS Division Galizien (est April 1943). By the time the latter unit was formed, it seemed more likely that Germany was going to lose the war, and Ukrainian nationalists wanted to have trained troops and weapons ready for an eventual confrontation with the Soviets. There were also Ukrainians who fought in an independent formation, the Ukrainian Insurgent Army (UPA), under the leadership of the Bandera faction of the Organization of Ukrainian Nationalists (OUN). In the spring of 1943 thousands of Ukrainian policemen in German service deserted to form the fighting nucleus of the UPA, which then attacked German outposts. At the same time the UPA began liquidating Polish settlements in Volhynia, and this soon escalated into full-scale Polish-Ukrainian ethnic warfare across Western Ukraine. The UPA continued guerrilla warfare against the Soviet authorities into the mid-1950s. A significant number of Ukrainians, many of them former prisoners of war, ended up in other formations that fought on the German side, such Andrei Vlasov's Russian Liberation Army or the auxiliary units that constituted the Ukrainian Liberation Army. Ukrainians also served in various Allied formations. Many Galician Ukrainians could be found in the Polish Second Corps, and a large number of Ukrainian Americans and Ukrainian Canadians served in the wartime armies of their respective countries. The latter group formed the London-based Ukrainian Canadian Servicemen's Association, which was to play a critical role with respect to Ukrainian displaced persons at the end of the war. Ukrainian political and cultural aspirations were frustrated by the Nazi administration. On 30 June 1941 the Bandera faction of the OUN proclaimed an independent Ukrainian state (see Proclamation of Ukrainian statehood, 1941), hoping thereby to place before the Germans a fait accompli. In July, however, the Germans responded by arresting Stepan Bandera, Yaroslav Stetsko, and many other prominent nationalists of the Bandera faction; others went underground. Both the Bandera and the Melnyk factions of the OUN organized clandestine OUN expeditionary groups to travel into central and eastern Ukraine and agitate among the population. Most of the Ukrainian organizations that sprang up spontaneously in the wake of the Soviet withdrawal were closed down by the Germans. The legal centers on which Ukrainian cultural and political life focused were the Ukrainian Central Committee in Cracow and the Ukrainian Regional Committee in Lviv. The primary aim of those committees was to intervene with the German authorities to preserve Ukrainian culture and mitigate the sufferings of the Ukrainian population. 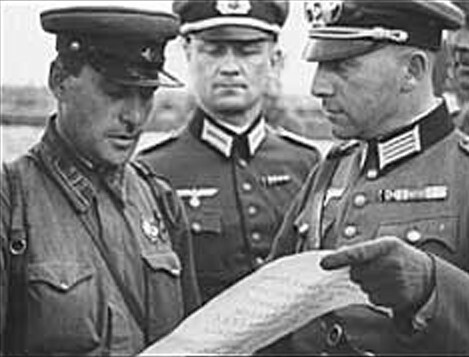 The Germans also maintained a tight control over Ukrainian life outside Eastern Europe, by allowing only selected organizations to continue their activities (eg, the Ukrainian Hromada and Ukrainian National Alliance) and establishing the Ukrainian Institution of Trust in the German Reich as a liaison body. 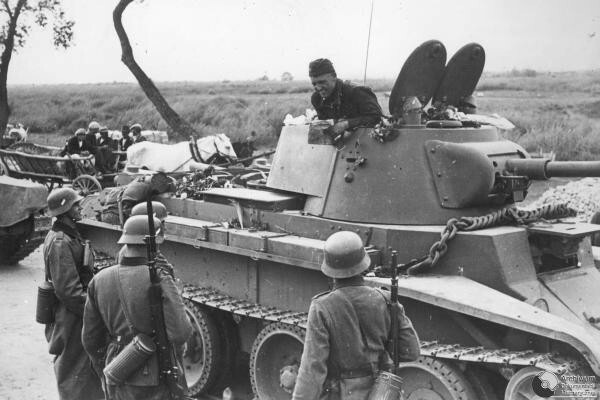 The Germans began losing the war after the Battle of Stalingrad in the fall and winter of 1942–3, and especially after their defeat at Kursk in July 1943.. By August 1943 the Soviets had recaptured Kharkiv, and by November they had taken Kyiv. In the summer of 1944 the Soviets reached Galicia. 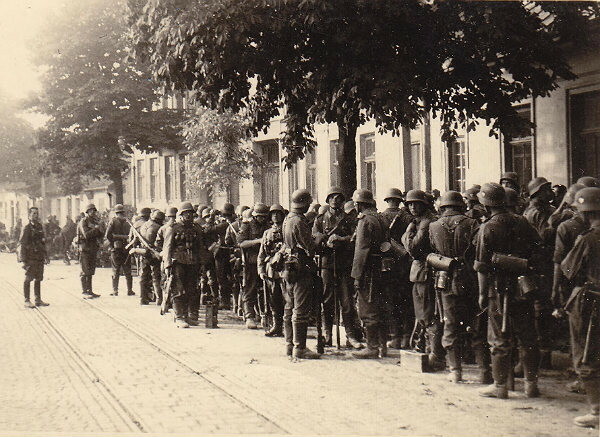 A decisive battle for the fate of Galicia was fought at the Battle of Brody in July; the German forces, and with them the Division Galizien, were routed. By the fall virtually all of Ukraine was under Soviet control. Germany capitulated on 7 May 1945, but the war against Japan continued until September. Before the end of the war the territory of the Ukrainian SSR was expanded. The Ukrainian territories that had been taken from Polish and Romanian rule in 1939–40 were reincorporated as they were reconquered; in addition, Czechoslovakia ceded Transcarpathia to the Ukrainian SSR in June 1945. 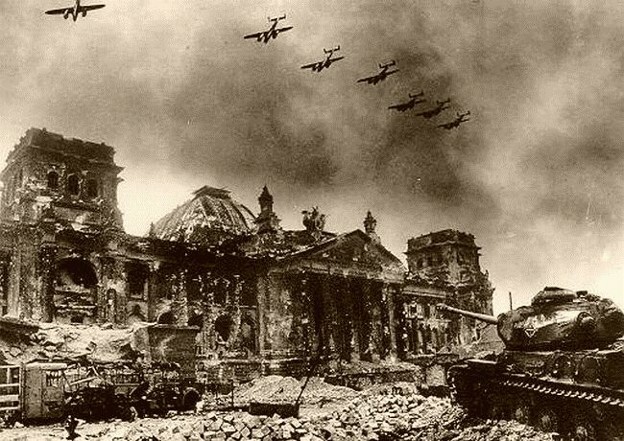 The destruction and dislocation in Ukraine caused by the Second World War surpassed even that of the First World War. An estimated 6.8 million Ukrainians were killed, and direct material damage came to 285 billion rubles (1941 prices). About 200,000 Ukrainian displaced persons ended up in the emigration in the West; the vast majority were returned to Soviet rule through forced repatriation. 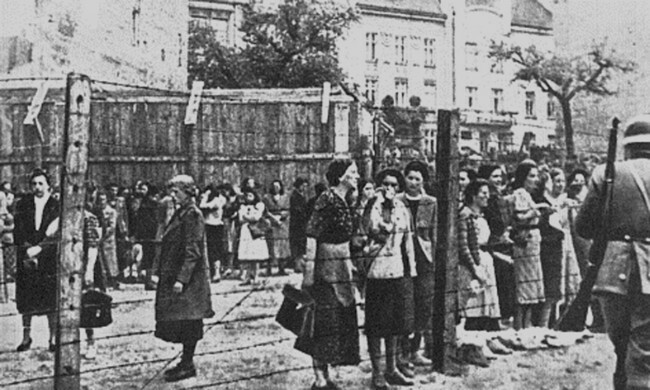 The extermination of much of Ukraine’s Jewish population during the war and a series of wartime and postwar population transfers and deportations substantially altered the ethnic composition of Ukraine. After the expulsion and emigration of most Poles, the cities of Western Ukraine became Ukrainianized and for the first time developed a Russian minority. The once substantial German settlements in Ukraine, particularly in the south, as well as those of the Tatars in the Crimea, disappeared; Ukrainians in the Lemko region were deported from their ancestral territories into the new lands that Poland acquired from Germany (see Operation Wisła). The victory against the Nazis in 1941–5 became an important source of legitimation for the Soviet regime and figured prominently in its propaganda at home and abroad. The Soviets referred to the war as the Great Patriotic War (Velyka Vitchyzniana viina) and made its commemoration ubiquitous: statues, monuments, and military hardware (tanks, airplanes) could be found in public places throughout the USSR (even in villages); Soviet literature and film produced a torrent of factual and fictional works about the war; veterans were granted a prominent place in public celebrations; Joseph Stalin was elevated to the stature of a military genius, and his successors (Nikita Khrushchev and Leonid Brezhnev) were also given inflated reputations for the roles they had played in the war effort; and 9 May (Victory Day) was declared an all-Union holiday commemorating the German surrender (the calendar date a day later than in Western Europe because of a time difference between Berlin and Moscow). An enormous monument and museum commemorating the Second World War were erected in 1982 near the Kyivan Cave Monastery. The Great Patriotic War reordered Soviet Ukrainian society. Veterans of the Red Army rose to positions of prominence in the administration regardless of their ethnic or class origin. Communists who remained in Ukraine under German occupation were subjected to a detailed examination of their behavior during those years, and most were expelled from the Communist party. Postwar Soviet propaganda sought to discredit as Nazi collaborators both Ukrainian nationalists and the clergy of the Greek Catholic church; particular targets of attack were the Division Galizien and Metropolitan Andrei Sheptytsky. Since independence, the assessment of the war in collective memory remains unsettled. Western Ukrainians and more nationalist-minded politicians are seeking to have veterans of the Division Galizien and the Ukrainian Insurgent Army nationally recognized as legitimate war veterans, with privileges equal to those of Red Army veterans, but this remains a minority view in Ukraine. Berkhoff, K. C. ‘Ukraine under Nazi Rule (1941–1944): Sources and Finding Aids,’ pts 1–2, Jahrbücher für Geschichte Ostereuropas 45 (1997), nos 1–2. A referral to this page is found in 465 entries.